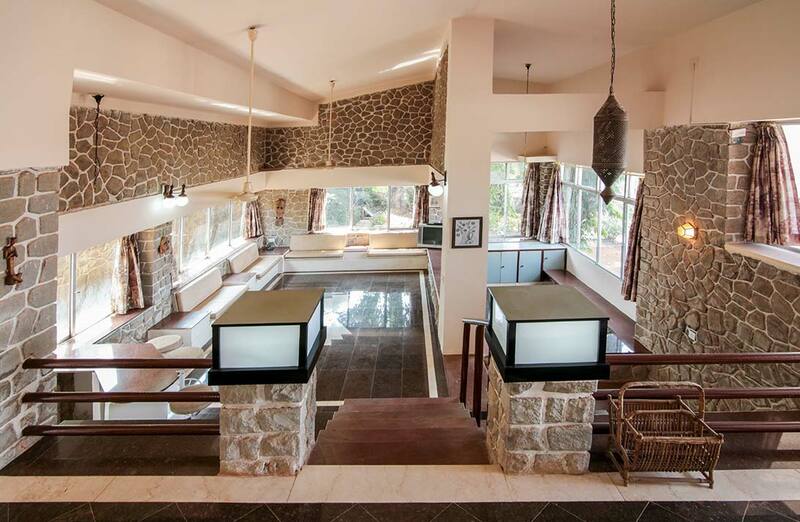 Our Pool is Not Available till further notice. Prices listed below have already been discounted for the same. 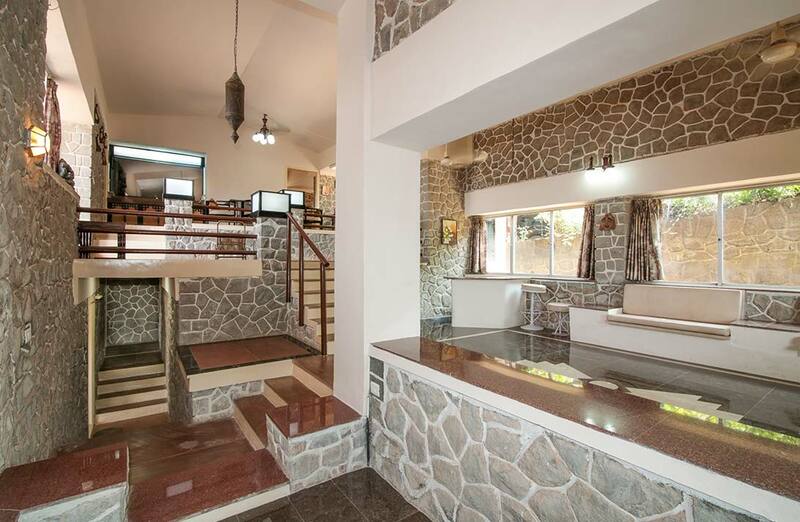 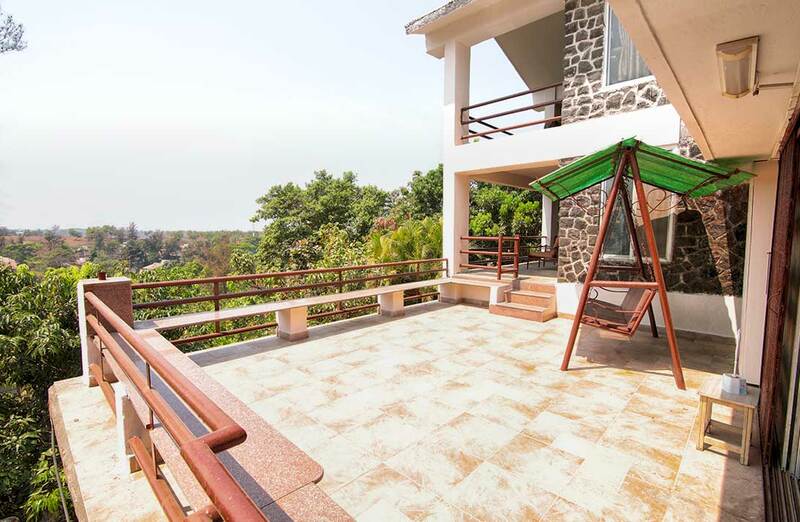 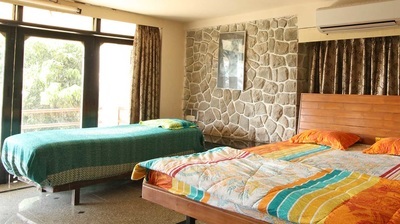 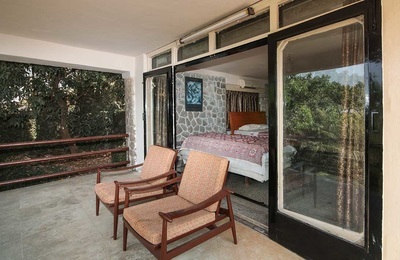 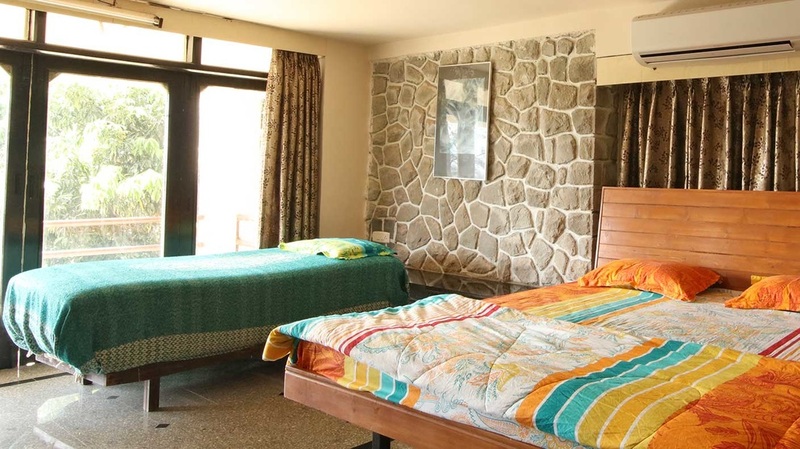 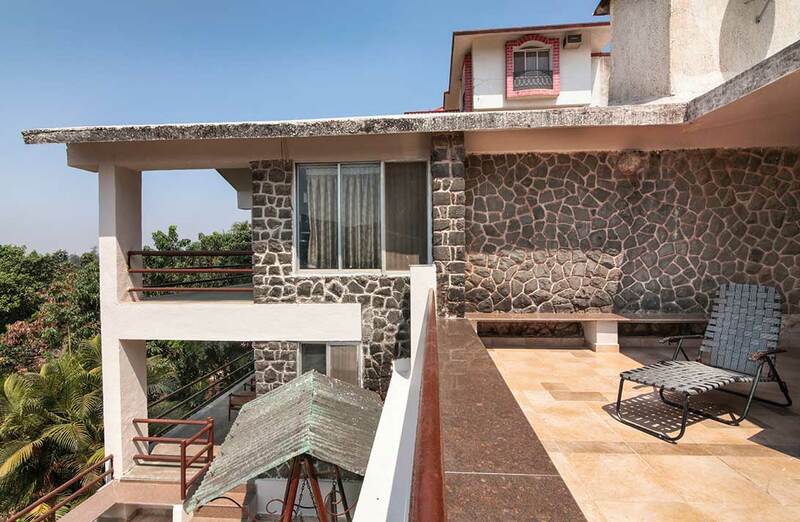 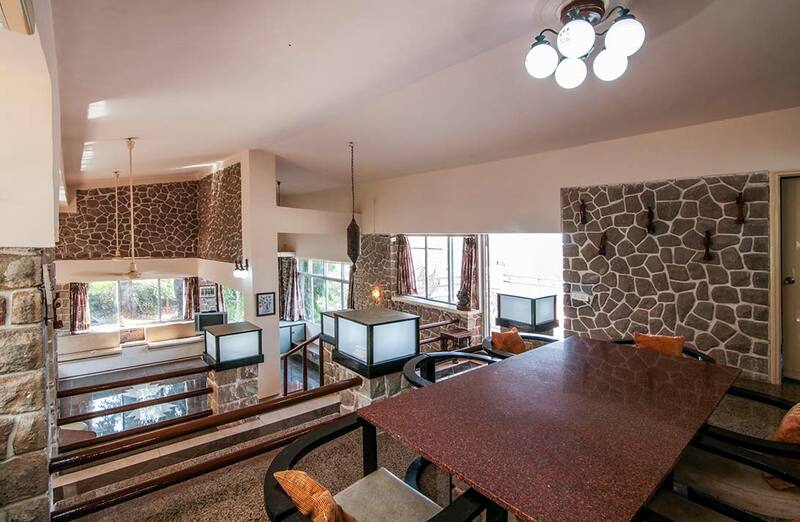 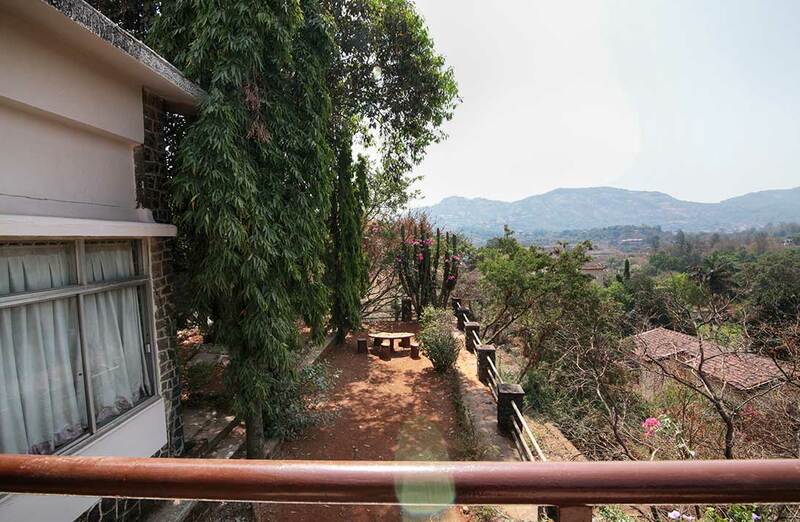 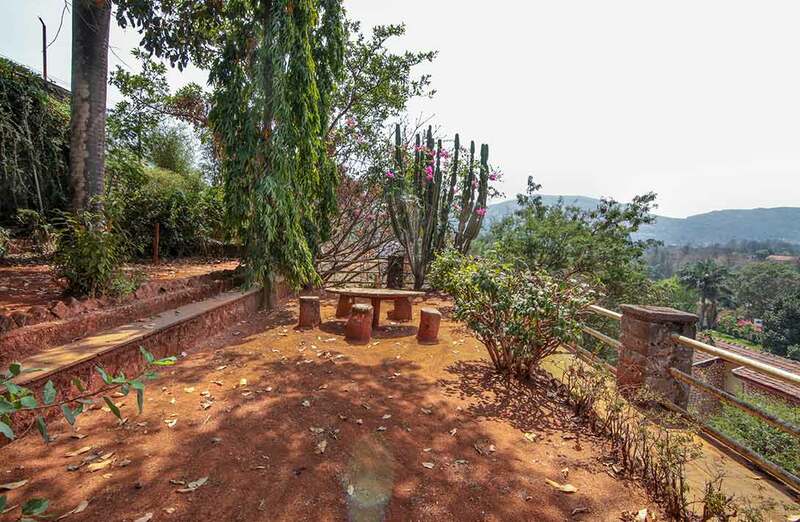 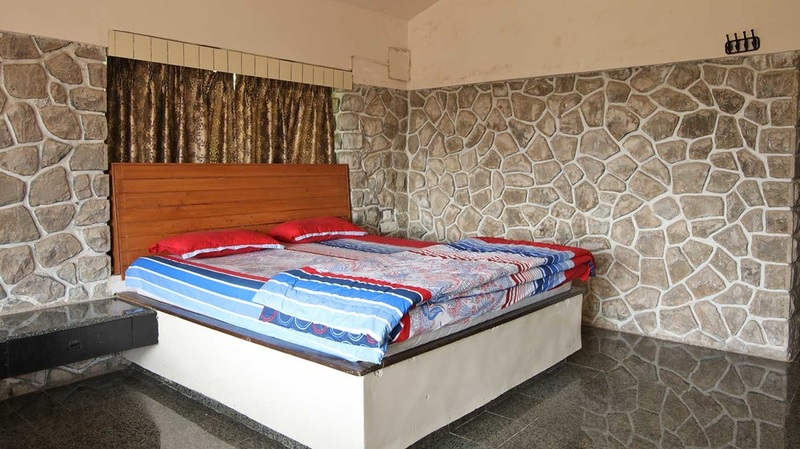 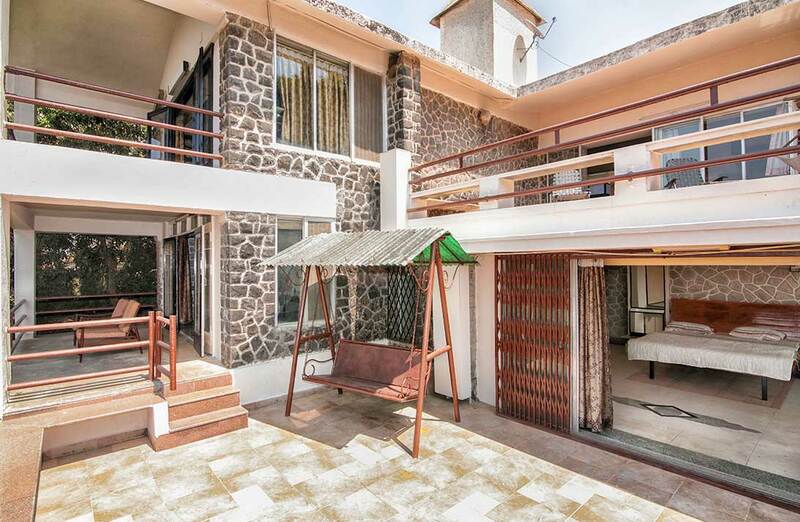 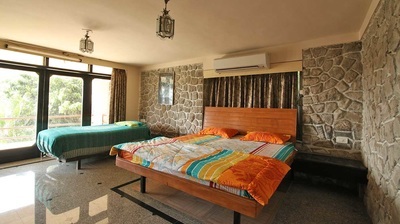 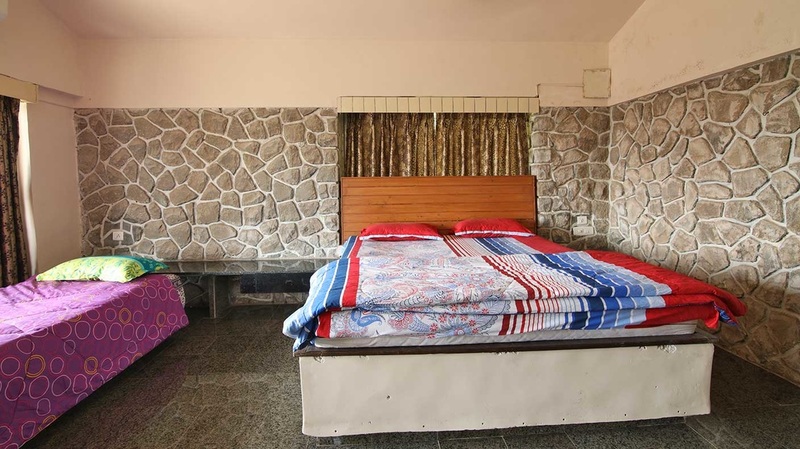 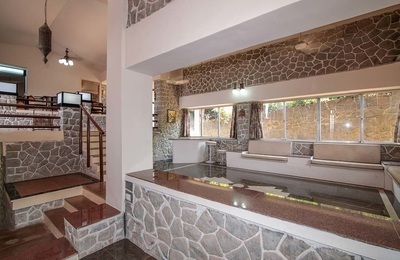 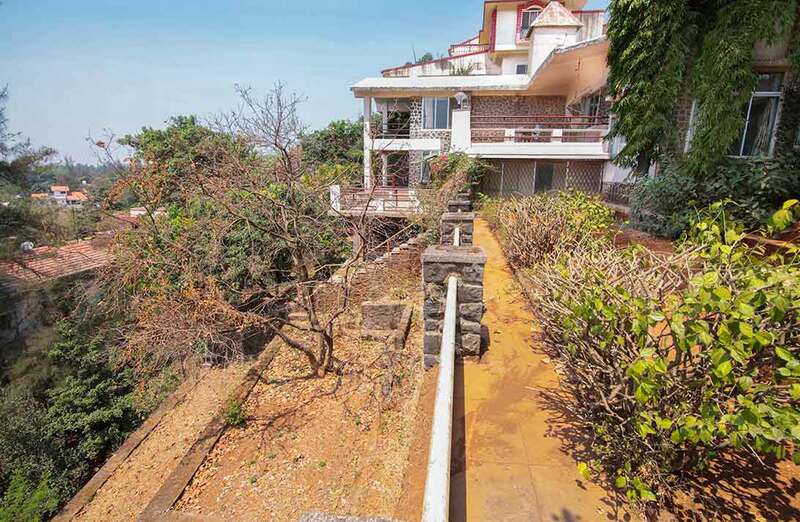 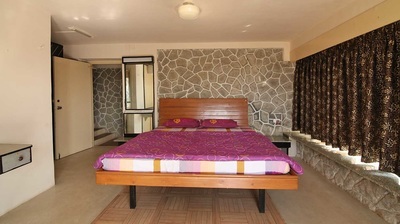 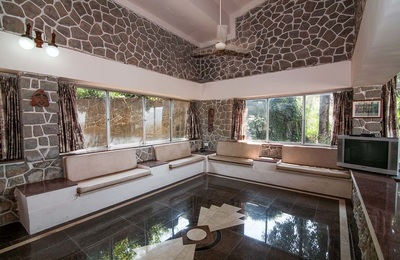 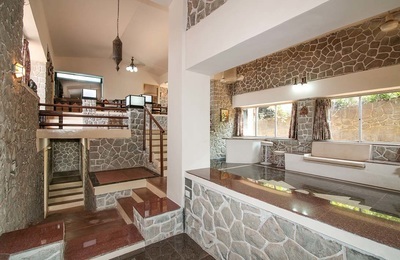 The Matrika Villa is a cozy traditional private residence in Summer Hill Valley, near Della Adventure, Lonavala. Beautiful vistas and gusty winds greet you all though the day. 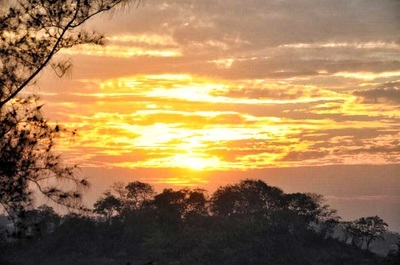 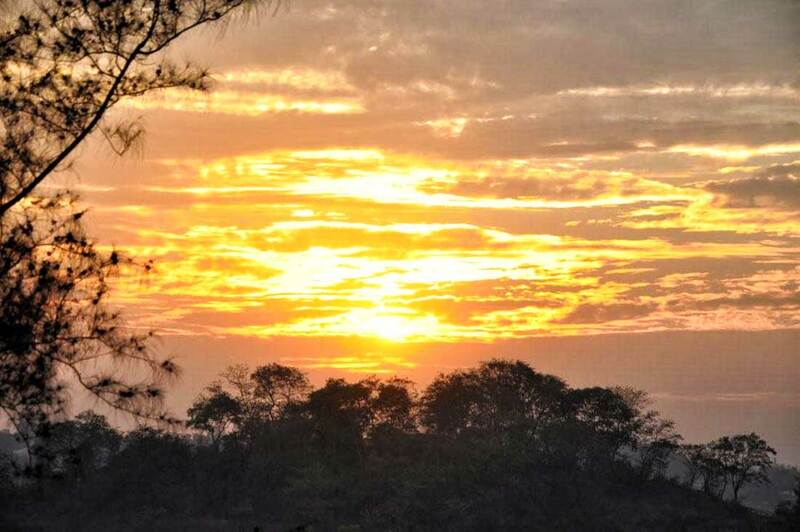 Sunrise and sunsets are really spectacular from any corner of the massive property. 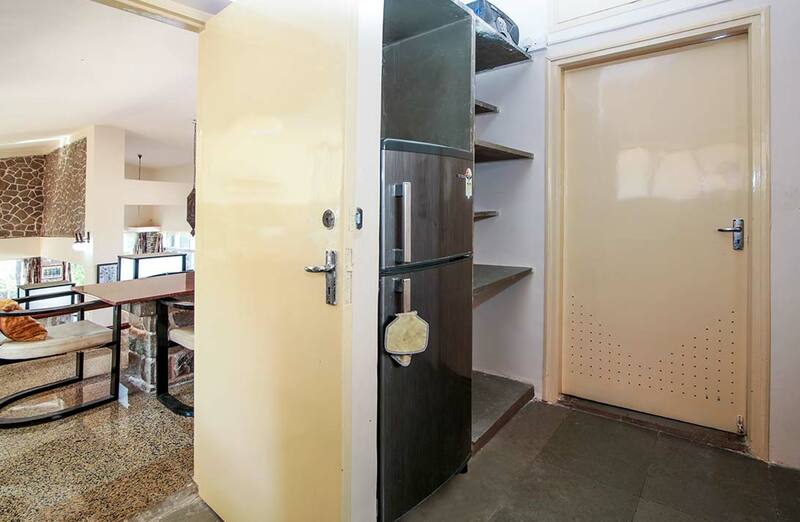 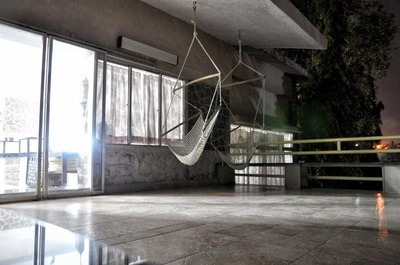 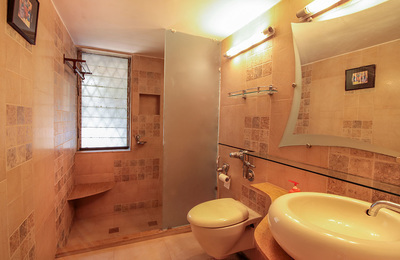 Natural lighting seeps in due to the unique architecture of the property. 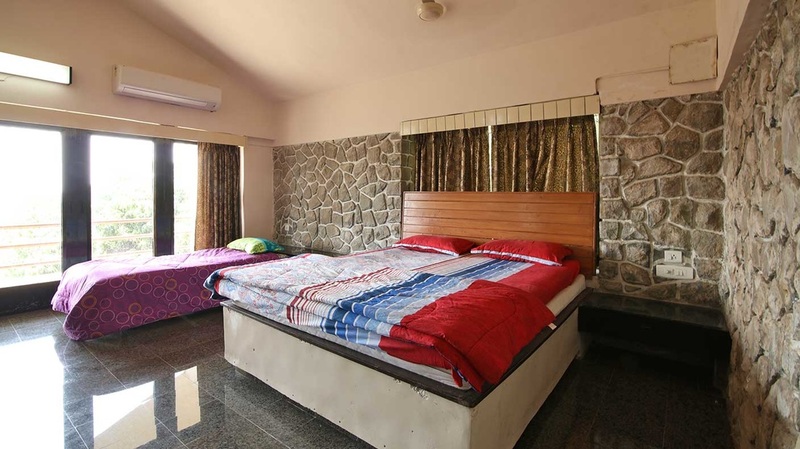 Luxury living this is not, we are a comfortable residence with loads of positive energy all around. Come and experience it for yourselves. 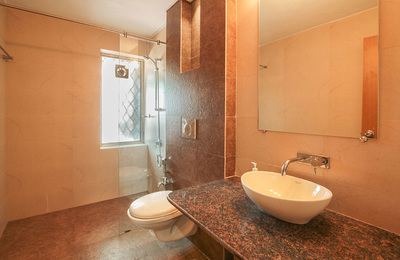 We can accommodate upto 15 adults at this property. If you prefer home cooked food, we have arrangements with local cooks, who for an extra charge (approx ₹3,500 daily) will come and prepare dishes at the property itself. 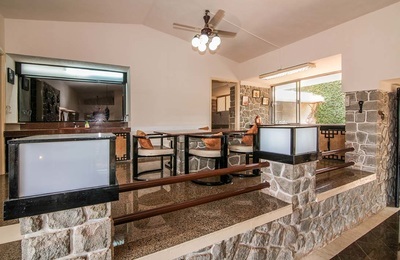 You can plan your menu before hand so that the cook can buy the freshest ingredients on your behalf and prepare the dishes at reasonable timings for about 8 odd guests, bigger groups should consider hiring additional cooks as befits their group size. 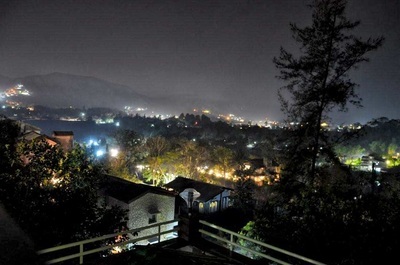 Della Adventure close by even has a 24 hour coffee shop for the late night binges. 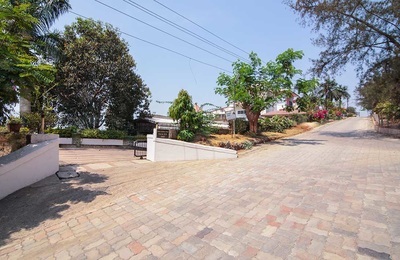 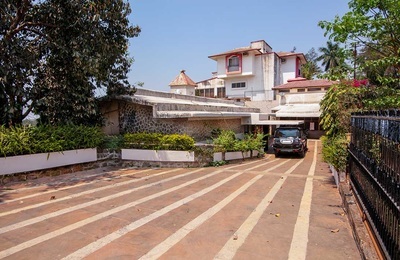 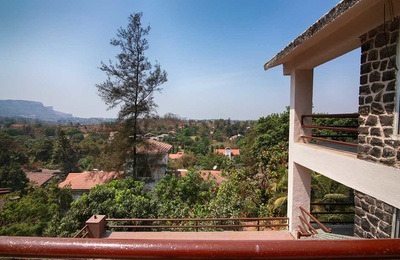 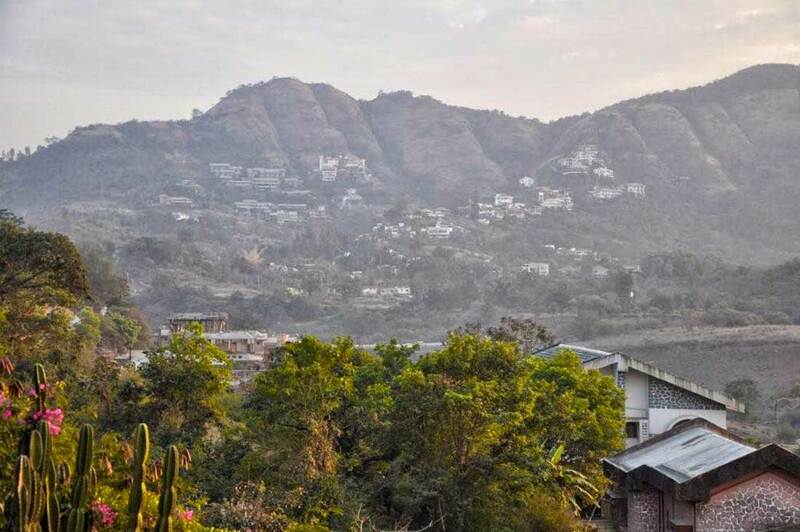 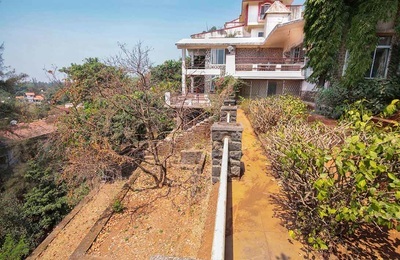 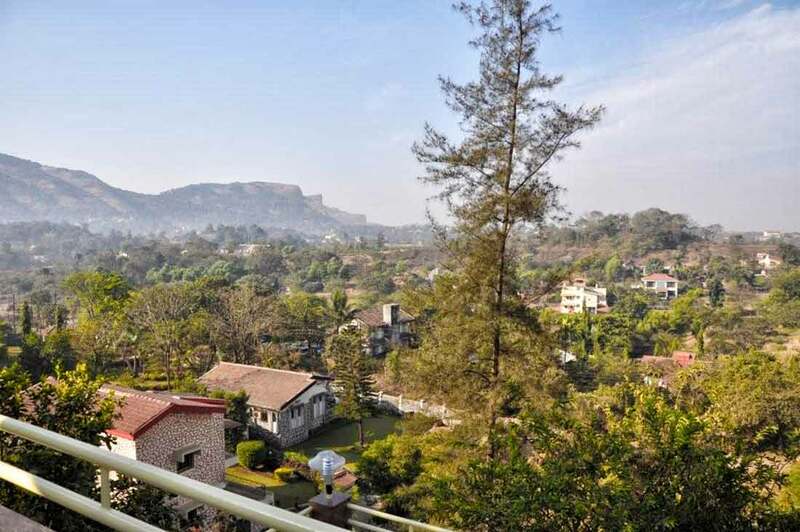 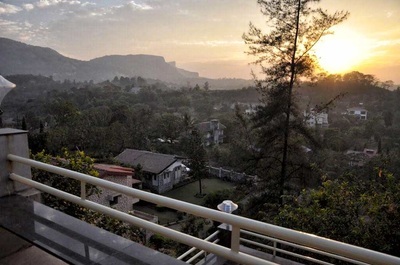 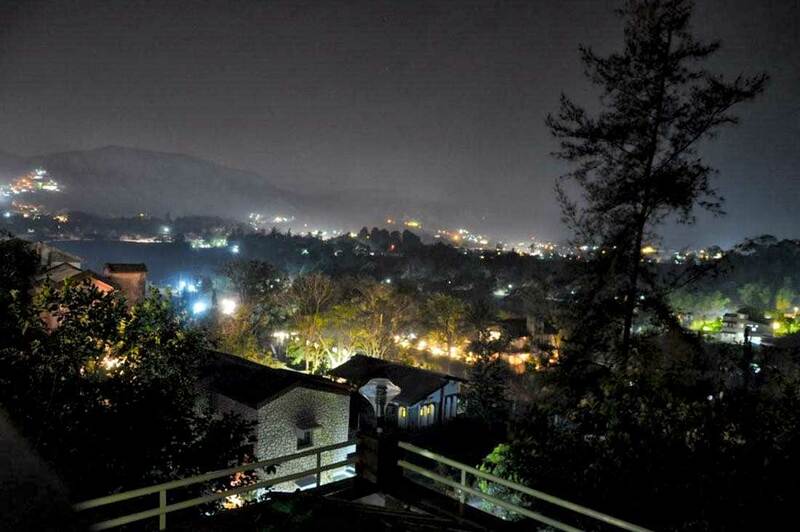 Less than 10 minutes from the Khandala exit (first exit after the ghats end) on the expressway and well before you are stuck in the weekend traffic of Lonavala is Matrika, ideally located 1 KM before Della Adventure, in a gated community of Summer Hill. 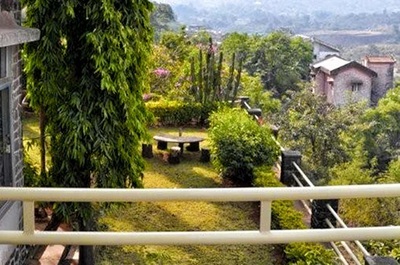 A place where the kids roam free and the young at heart leisurely wonder. 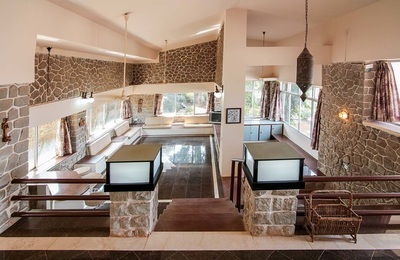 Della with it’s 24 hours restaurants, spa, swimming pool, adventure park is a must do. 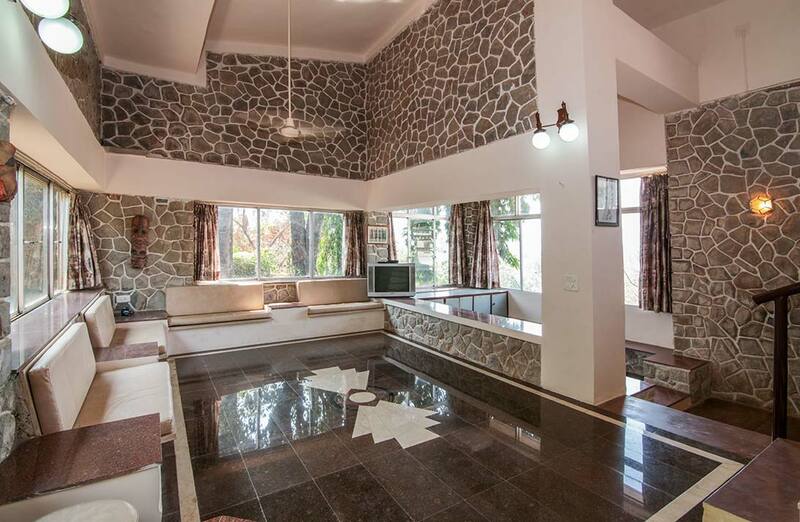 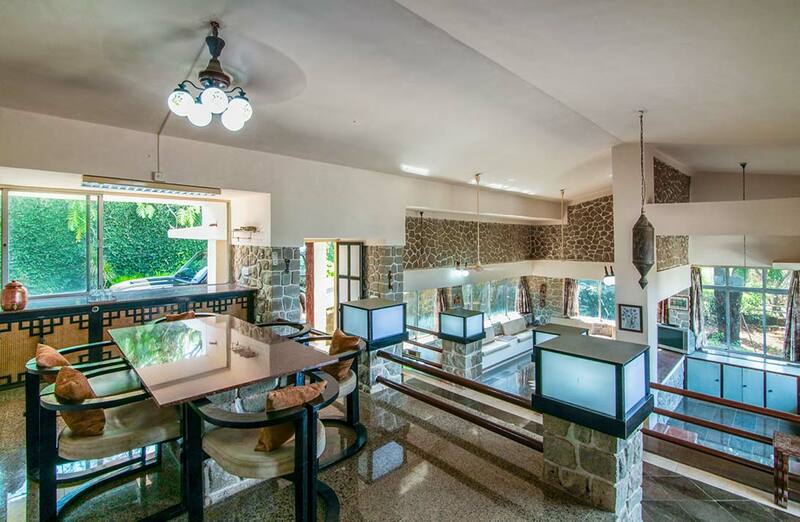 A 3 bedroom stone bungalow that rises into the clear sky and blends into the hills with its unique design. 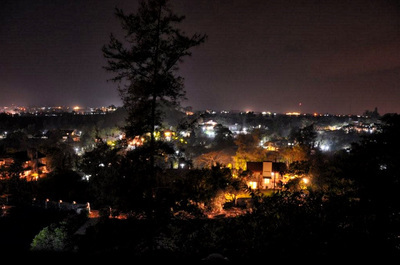 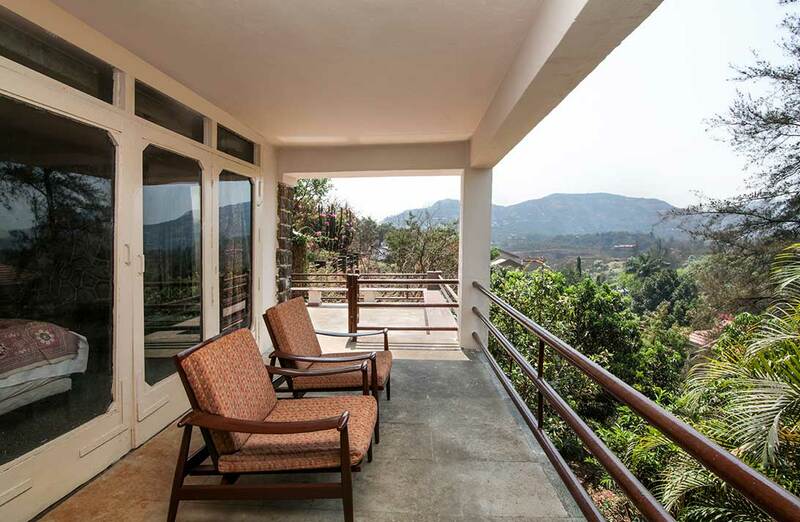 Matrika is located at the edge of a hill with unparalleled views of the Deccan plateaus, a place where sunsets are soul changing and star gazing a must do. The owner, an architect by profession and nature lover by heart has designed the house so that every bedroom, hall and the dining area have large terraces and/or balcony’s to sooth the eyes with views never-ending. 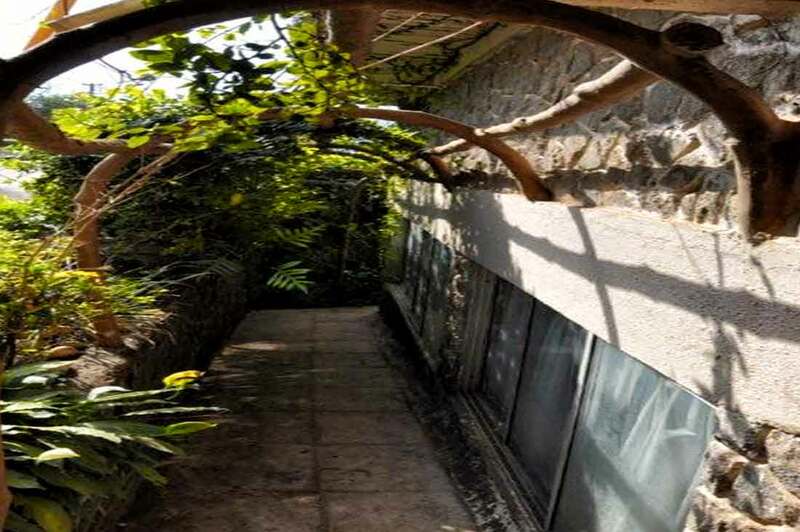 The purposely unkept lower gardens have trees that rise like phoenix forcing you to marvel at them. 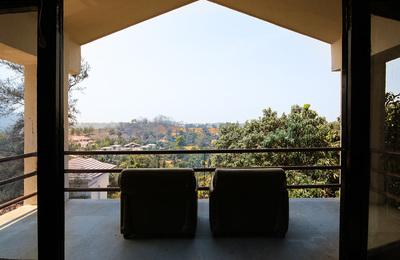 Sit out in one of the 2 terraces and let nature work it's magic on you. 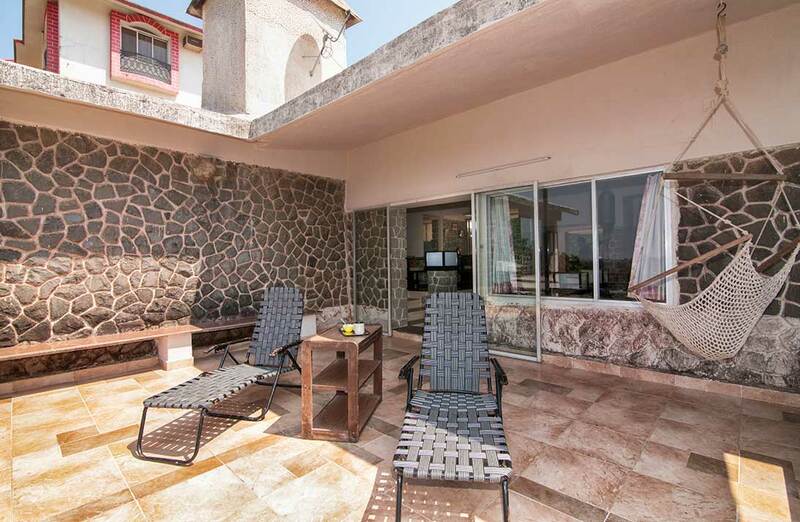 The Villa shares the vicinity with the 4 bedroom Summer villa (4 double beds), these can be rented individually or as a whole for larger groups of guest based on availability. 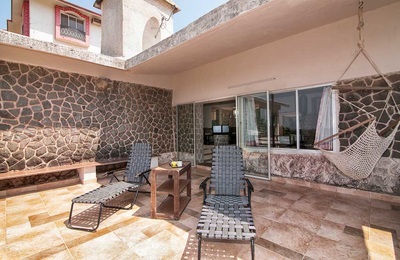 Three bedrooms here with scenic views, all air con bedrooms have double beds and extra mattresses. 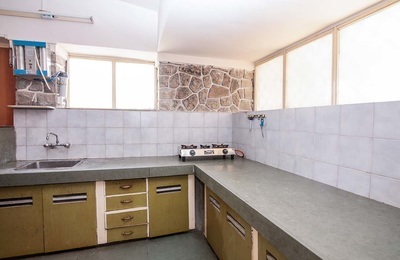 Also available is a well equipped kitchen with all essentials including serve ware for our guests. 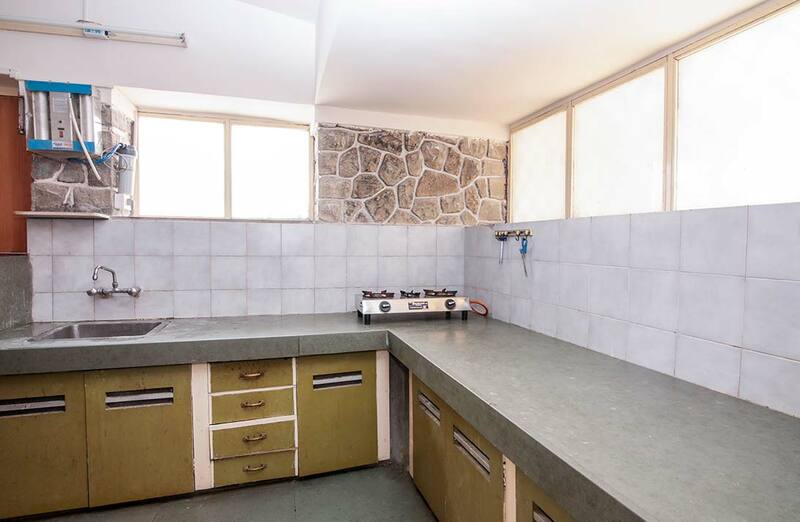 Look in and find our cook (she can be hired at an extra cost) ready to whip up home style basic yet delicious food or request her to assist you whilst you let your inner chef emerge. 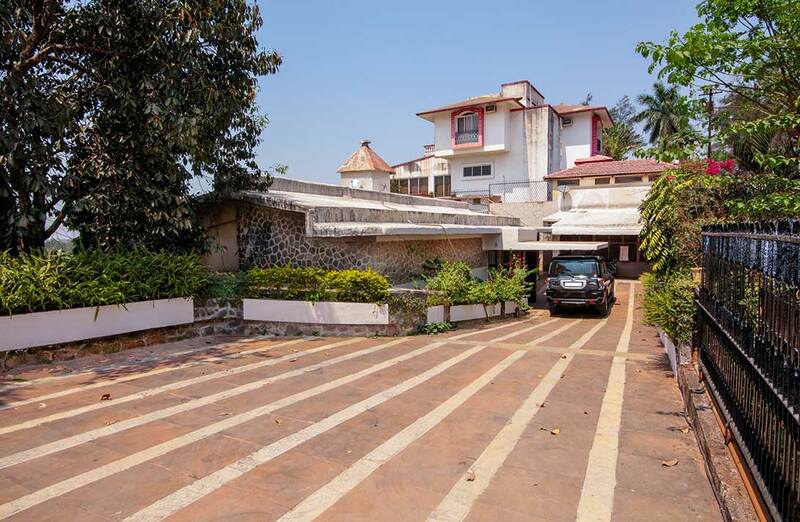 With a separate living quarters for drivers/cook/servants our caretaker Ravi and his every smiling (all front teeth missing wife) are never bothered as their space is not encroached. 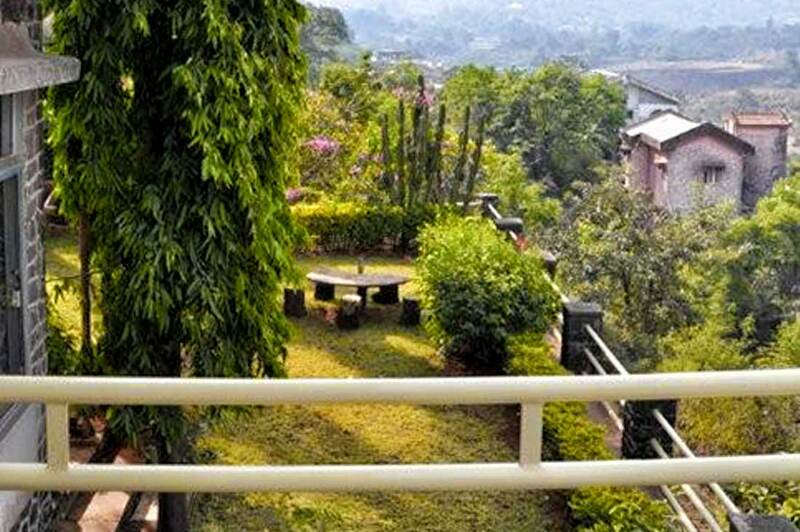 During the rainy season try as hard as you can to stop the clouds and mist from entering Matrika. 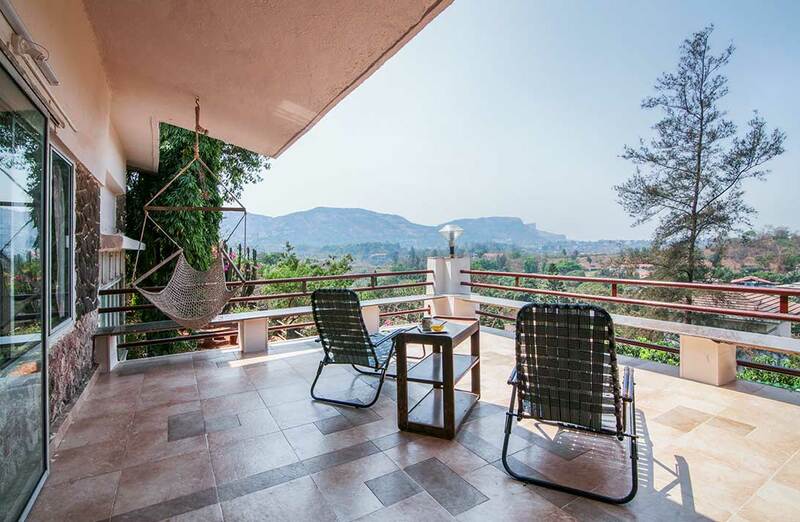 Come to Matrika and do nothing, any other way is to waste your vacation.